According to Claire, Director of Gordonstoun International Summer School, GISS is considered to be one of the world’s most prestigious International Summer Schools. GISS provides a safe, happy, exciting and invigorating environment for students to come together to learn, have fun and make friends. They run a diverse programme of activities and are lucky to be within easy reach of the hills and mountains of the Highlands and of the magical West Coast of Scotland, arguably one of the most beautiful parts of the world. 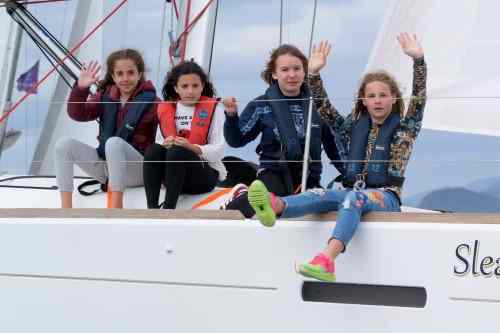 This enables them to provide the chance to sail yachts, to kayak and to climb, as well as to make full use of the school’s comprehensive facilities. 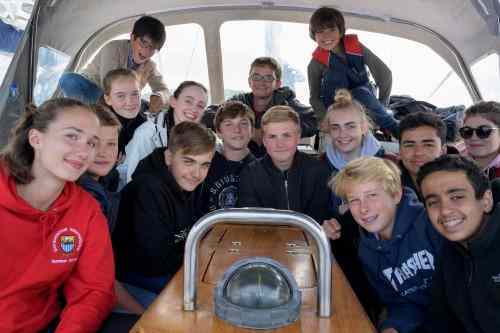 On what they loved the most about the summer experience at Gordonstoun? It was fun! Going to the adventure centre and jumping from the rocks was so exciting and it was the best experience. The drama lessons were so fun. Sports lessons were fun, it was all fun! The activities are very diverse, we are really well taken care of, the food is good and the bonding experience with the other students is very interesting. You also get to make great friends. Question: How did they make you feel welcome? I had such a great time here. Everyone was very helpful, and I was able to learn a lot and do many things that I never thought I would be able to do anywhere else. I will say that this camp is absolutely outstanding. The staff and people are all very kind and helpful. It’s so fun and exciting but first you are a little bit homesick. The staff and the student leaders are so nice and there is so much to do, soon you are having fun. Question: Would you like to come back? AvaRose from Australia, aged 14 – whose Mother came in the 1980s! GISS has been some of the best weeks of my life. The friends I have made are like family, the things I have done are incredible, and what I have learnt is priceless. I am proud of what I have achieved, and can say that I truly hope to come back next year! I told my friends at home last year and this year I will say the same thing to them, it is a brilliant experience in a summer school with people from whole world. I really want to return, but I`m 16 and turning 17 in September, so I cant. But, Gordonstoun will be in my heart forever. My Spanish is good, I learned lessons better than in school. I liked the classes and the teacher was nice and very funny. I hope all my friends think about coming here because it was such a great, educational as well as fun experience. I learnt a lot of new skills like woodwork and my literature class was really good, I learnt a lot about writing different ways. Question: Were there some skills that you were able to work on? The highlight was our six-day adventure trip to the gorgeous West Coast of Scotland, and I was mesmerized by the beauty of the landscape. 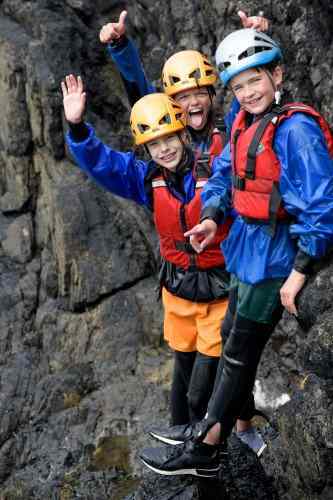 Canoeing, rock climbing, abseiling, kayaking, coasteering, gorge walking, canyoning, visiting castles, mountain biking and sailing in the International Summer School’s fleet of ocean-going yachts around the Western Isles were the activities in which we were submerged through the six-day period. I learned so much in so many ways, about people and from my experiences. These will help me in my life. It is a cool summer school. You should visit it anyway, you will try many new things and have many amazing West Coast adventures and sailing experience on the yachts. This is the best bit, I did things I never thought I could do, but then I did. I sailed the yacht and jumped from the boat and we had dinghy races. It is an amazing experience. GISS was the best 3 weeks of my life. I don’t know how to describe how much fun it was. At GISS I made some really great friends who I am sure will always stay in touch. These special people will play a big role in my life and in my heart wherever I go from here. I honestly don’t know what the best part of GISS was. I can’t say, everything was exactly as I imagined but 1000 times better. Between the discos, to just hanging out and spending time with my new friends and roommates to going to technology and especially the trip to West Coast and Kilbowie and sailing on the boats. It was just an amazing, beyond believable experience and the best that anyone could ever wish to experience. I will never forget my summer as it was a great one. I would like to say a really big thank you – you have really made a big difference in my life and for my future. This year, the length of the summer program is 3 ½ weeks. They have two courses which are the same just set one week apart. The Summer School is fundamentally designed to be fun! A place to have fun, and create lifelong memories. 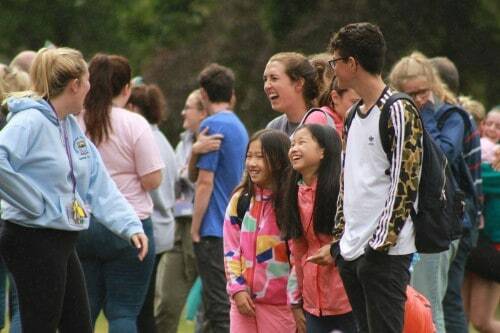 The Gordonstoun International Summer School motto is “where everyone smiles in the same language”. They will have the chance to experience things they have never experienced before, enabling them to discover and develop skills they never dreamt they had. They also consequently develop leadership skills, understanding of what it is to work in a team, to be part of a team, and to help your teammates! As an International Summer School, they have the opportunity to meet and make friends with children from all over the world; from different backgrounds, cultures and faiths. This encourages understanding, respect, compassion and responsible cultural awareness. Do be in touch if you have any other questions. We look forward to welcoming you to the Gordonstoun International Summer School, “Where everyone smiles in the same language”.